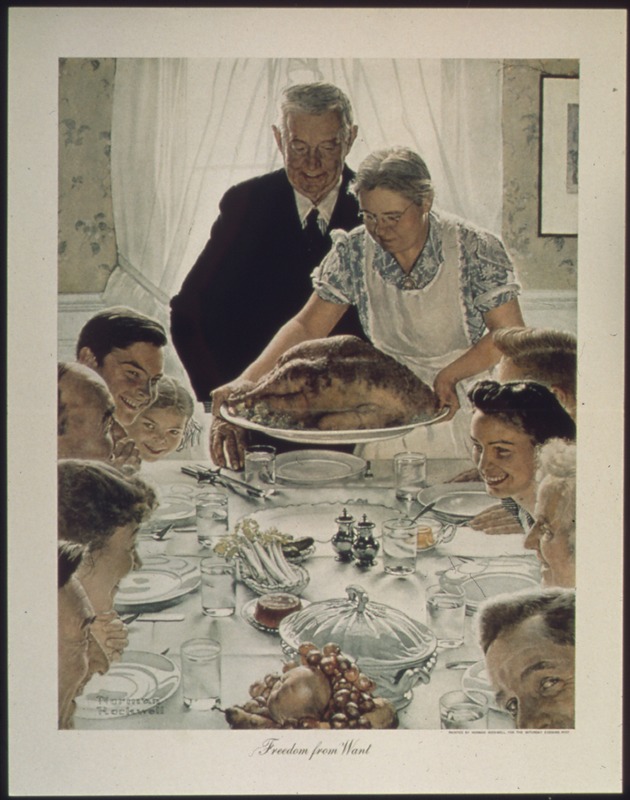 Thanksgiving away from home – what could be better? I considered myself fortunate. We were traveling for Thanksgiving, meaning I wasn’t going to have to cook (a good thing for all involved – just ask my hubby sometime about my poultry cooking skills). I didn’t have to clean. All I was expected to do was to enjoy time with my family. Silly me. I forgot that I was traveling with a toddler. I had barely closed my eyes on Thanksgiving eve when I heard my toddler’s cry in the adjacent room which he was sharing with his brother. I immediately sprang out of bed to see what was the matter worried that might wake up the rest of the household. I was ready to once again hear, “Where Monkey Man?” This time however it wasn’t merely a request to locate his favorite toy, he was sick, and not just with the sniffles. Cleaned up, my toddler clung to me like a life raft. The hubby passed by carrying our travel toddler cot. (You could smell it from a distance.) Even if we had a spare set of sheets, kiddo wasn’t going to be able to sleep on it again any time soon. I had resigned myself to a night on the couch or rocking chair. when the hubby came by again. This time with a pillow in hand. He volunteered to stay on the couch so that our son and I might sleep more comfortably on a bed. In hindsight, I think in the end he may have gotten the better end of the deal. It was still a loooooonnnnng a night. At home, my toddler’s bed is near the ground and has guard rails. My in-law’s guest bed, on the other hand, is very tall and all sides are completely exposed. Each time my kiddo shifted, I worried he might slip over the side and plummet to the ground. I was afraid that the cries we had already heard that night would be whispers in comparison. I tried to pull him back closer to me, but that only served to wake him up enough to remind him that his tummy was still upset. Several trips back to the bathroom later (progressively less necessary), I realized that what I was doing wasn’t working. Unless I wanted to be completely worthless the following day, I was going to have to find a way for both of us to sleep. I realized I was going to have to give him more freedom of movement. I placed a few pillows near the bed’s edge, just in case, but then I let him go. Soon I heard soft, contented snores and I allowed myself to also fall into a light sleep. “I better.” Then no more words. Instead, he snuggled next to me, and the soft snores resumed in short order. Even though I knew right then that it was only a matter of time before I came down with whatever illness my toddler turned outbreak monkey possessed (4 days to be exact), I couldn’t help but smile. I’ll take what I can get. My toddler used to only want to be with me. Then one day he stopped, and now prefers the company of his dad. All too soon, I know this stage will also be over and he’ll only want to be around his friends. I’ll eventually have to let him find his own way in life, but it is good to know that he’ll still look for mommy now and then. The one important takeaway I got from all this was, you DIDN’T have to do any of the cooking on Thanksgiving. Score! And don’t worry, he’ll come back around to mommy’s side. Kids are like yo-yos in that regard. That was one really really really big plus! For everyone. Somehow I missed this post. Great story as usual.